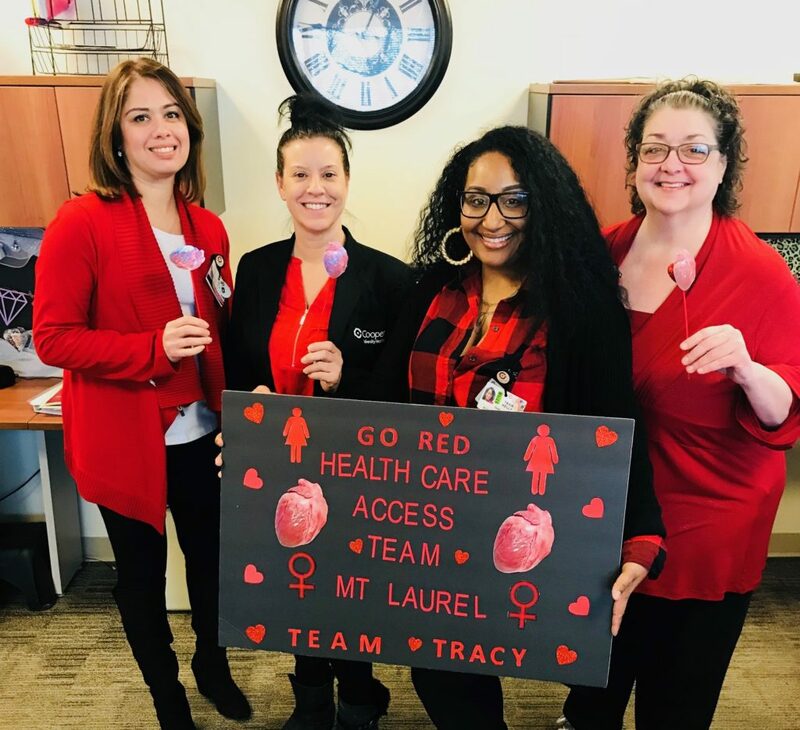 Health Care Access Team on Wear Red Day, February 1, 2018. Photo submitted by Tavia Kelly. During the month of February, Cooper University Health Care is celebrating the Go Red for Women movement and American Heart Month – reminding us all of the importance of committing to a heart-healthy lifestyle. According to the American Heart Association, heart disease is the number one cause of death in the United States in both men and women – accounting for 1 in 7 deaths each year. To learn more about Life’s Simple 7, click here. On Friday, February 1, 2019, Cooper will observe National Wear Red Day® to increase awareness, prevention, and treatment of heart disease and stroke among women. Remember to wear red! Send photos of yourself, your coworkers, or your entire team proudly wearing red on Friday, February 1, to socialmedia@cooperhealth.edu.